When this 500-round case shows up on your doorstep, your local varmints will start running for cover! 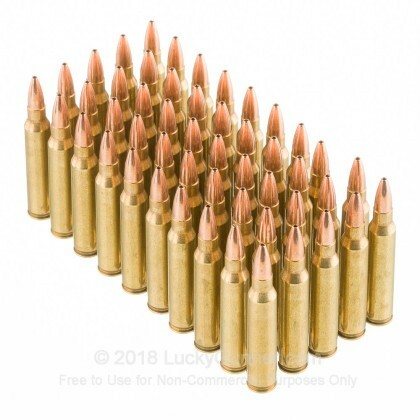 Every cartridge in this case of .223 Remington ammo carries a 36 grain Barnes Varmint Grenade jacketed hollow point (JHP) bullet specifically designed to be a pest animal’s worst nightmare. 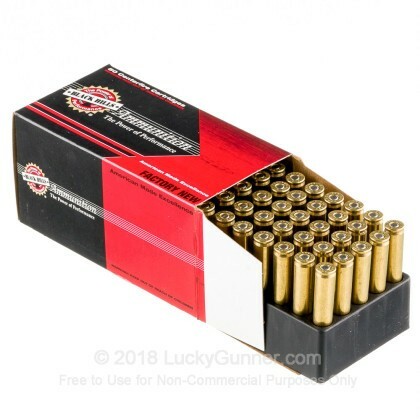 Manufactured by Black Hills, every round of ammunition in this case is manufactured with high standards of quality control and comes in a boxer-primed reloadable brass case. If you need a way to vaporize varmints or take predators with minimal damage to valuable pelts, look no further than the Barnes Varmint Grenade. Barnes took a bullet they designed for the military and repurposed it for pest control. 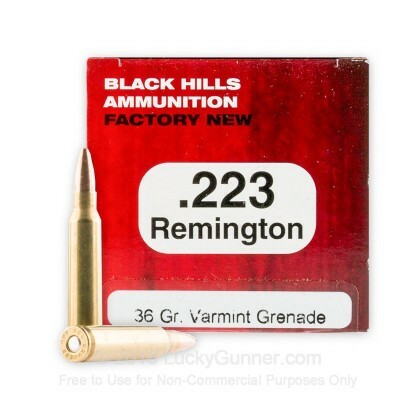 The Varmint Grenade is a jacketed bullet with a copper/tin powder filled central cavity. The jacket keeps the bullet together when travelling at high velocities, but on impact the bullet undergoes extreme fragmentation. 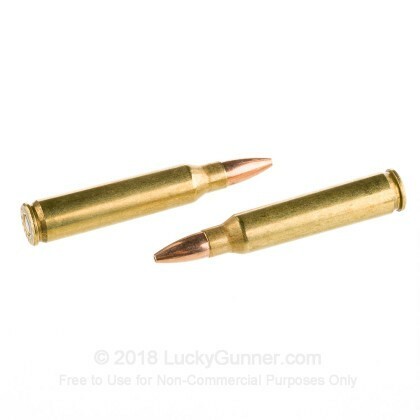 This will destroy small animals like prairie dogs, and the lack of penetration makes this bullet the perfect tool for taking predators like coyotes without damaging their pelt. 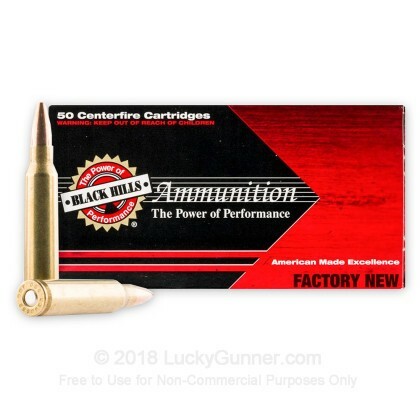 For over 30 years, Black Hills has been manufacturing ammunition trusted by law enforcement, US Military Service Rifle teams, competition shooters and hunters. 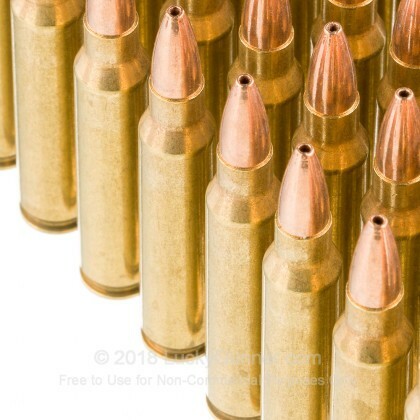 Their ammunition is also used by many gun manufacturers to test their firearms.